Apache OpenOffice is an open-source office productivity software suite. It is one of the successor projects of OpenOffice.org and the designated successor of IBM Lotus Symphony. Apache OpenOffice is a close cousin of LibreOffice and NeoOffice. It contains a word processor (Writer), a spreadsheet (Calc), a presentation application (Impress), a drawing application (Draw), a formula editor (Math), and a database management application (Base). See most frequently asked questions about uninstalling OpenOffice. 1. How can I uninstall OpenOffice in Windows XP/7/8/10, so that related files, settings, and registry entries are also removed? 2. I cannot install the latest version of OpenOffice after upgrading Windows 10. 3. Upgrading to the most recent version of OpenOffice, but I get an error pop-up. In fact, the reason of failure for OpenOffice upgrading or reinstalling is the incomplete deletion of its leftovers. Therefore, there are two better solutions to uninstall OpenOffice and delete its leftovers, which are recommended to you. Usually, the built-in uninstaller is in the installation directory of OpenOffice. You can find it through the following approaches. 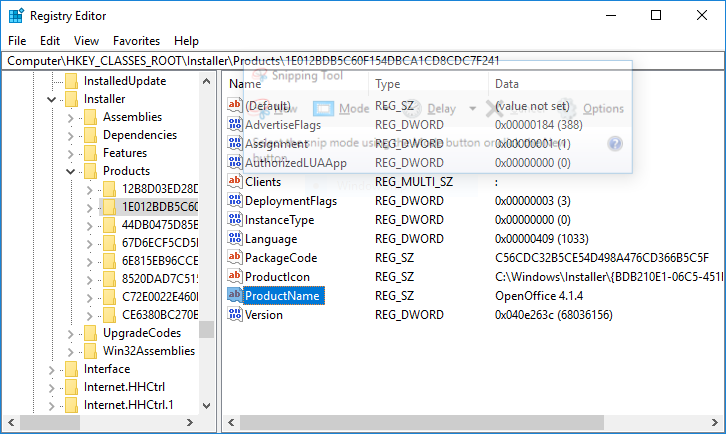 Note that its name contains the string “uninstall” or “remove” generally. Click the Start Button on the Desktop to open the menu, then point to “All programs” and click on “OpenOffice” in the right pane. 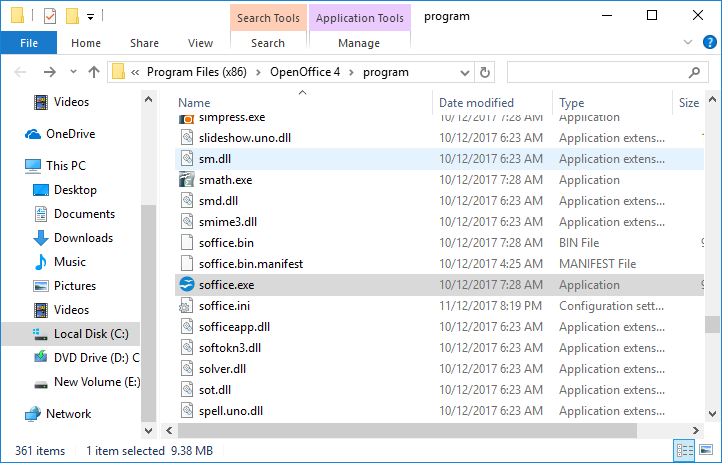 Click the Start Orb Button on the Desktop to open the Start menu, then select “All programs” and click on “OpenOffice” folder. Click the bottom-left Windows icon on the screen. At the Start screen, find and right-click tile of OpenOffice, then click on it and select “Open file location”. You can go to “Control Panel->Programs->Programs and Features” and then find the OpenOffice icon on the list view, in case you do not find the built-in uninstaller of OpenOffice. You need to delete all the leftovers after completely removing OpenOffice. such as files, folders, registry entries, etc. Open “Find” dialog by pressing the keyboard combination Ctrl+F, then enter the key, value, or data you are looking for in the “Find what” box. Such as “OpenOffice”, “C:\Program Files (x86)\OpenOffice”, etc. Start Max Uninstaller and find the OpenOffice icon in the list view showing installed software. Next step, click “Complete Uninstall”. At this moment, Max Uninstaller call built-in uninstaller of OpenOffice, and we just follow its prompt to uninstall OpenOffice. Finally, delete all the OpenOffice leftovers by clicking “Delete Leftovers”. Watch the video: guide you to uninstall OpenOffice step by step.